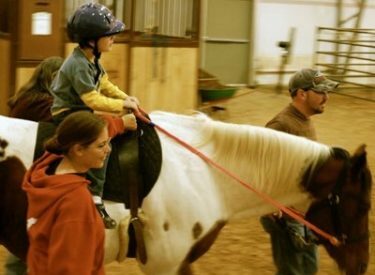 Crossroads to Offer Volunteer Training Saturday, March 30 at 2 p.m.
Crossroads Center, Inc. is a non-profit organization that provides mounted horseback riding for the purpose of contributing positively to the cognitive, physical, emotional and social well-being of adults and children with disabilities through the teaching of horsemanship skills. All new and returning volunteers should attend this session. The center is also seeking individuals that would like to become a volunteer at the center. No prior experience is required – all you need is a warm heart and a willingness to learn. If you are interested in becoming a volunteer, Crossroads will hold a volunteer training session on Saturday, March 30 at 2 p.m. The center is located at 18252 Road 4 at the Ronnie Delay Arena, Liberal. The arena is 8.5 miles east of the intersection of Country Estates Road and Highway 54. Call Rena Cross, Executive Director, at 620-629-5107 for more information. The center web site is www.crossroadsctr.org.